Your expected base of departure would be Delhi or Chandigarh. If you plan on going now i.e. April, May, early June, there'd only be one route open. There are two routes to reach Spiti Valley. 1. via Manali and Rohtang Pass. 2. via Shimla- Reckong Peo - Nako - Tabo; via Kinnaur. Even though the Shimla route sounds like a longer one and it is, it also gives you the opportunity to explore the beauty of Kinnaur on your way to Spiti. If you’re planning to visit Spiti in April, May or early June, please note that the Manali route will NOT BE OPEN. So, you will have to reach Kaza (Spiti) via Kinnaur Valley only. The first thing you want to do is, book your bus or vehicle till Shimla. When you start from Shimla, it's upto you whether you want to take an overnight break at Narkanda (which is 2 hours away from Shimla) and explore the area or not. I'd recommend stopping straight at Reckong Peo, Kinnaur and staying there for at least a day- explore (stay in) Kalpa and the nearby villages- they are amazing! For Sangla Valley, you'd have to take a small detour. Should you want to stop by in Sangla, go ahead or else take a break straight in Nako and stay there a night in the village. It's a beautiful village with quite a few guest houses and home stays. After Nako, you'd want to stop at Tabo and have a definite look at the Tabo Monastery. It's a 1000 years old and will take your breath away. There's not much to do in Tabo so you can just take an HRTC bus once you're done with the monastery and head to Dhankar. We recommend visiting Dhankar before you reach Kaza because you will not take that route again. There's a little hike to Dhankar Lake and it's stunning. You can stay in Dhankar for a night and then descend to Kaza the next day. 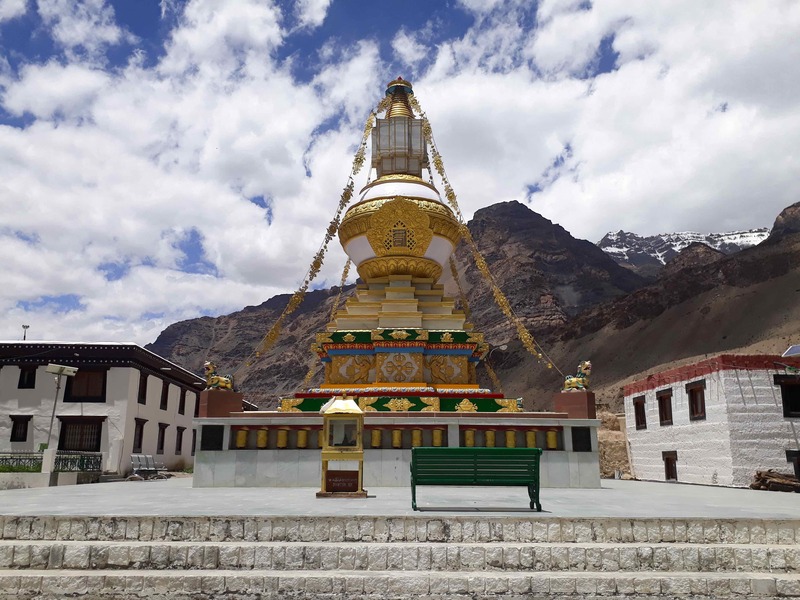 Welcome to Spiti! There are 5 main villages around Spiti that tourists visit. They are called Key, Kibber, Langza, Hikkim and Komic. Out of these 5, a place that you CAN NOT miss staying the night at, is Langza. It's otherworldly at night. Should you be interested in spending a night at the Key Monastery, you can do that as well. The rooms are as cheap as 150 bucks a night and offer a great view of the valley as well. Key and Kibber fall in the same zone whereas Hikkim, Komic and Langza fall in an another. There are also places like Demul, Gette, Tashigang and Chicham that you can visit along with people you find while travelling. You can also visit Pin Valley and its beautiful green villages like Kungri, Mikkim and Mudh from Kaza. Spiti Valley is as gigantic as it gets but everyone knows everyone. The Spitians are very hospitable and will do anything to make your stay as comfortable as they can. There will be a lot of backpackers around you at all times. You will be safe and you will enjoy a ton. 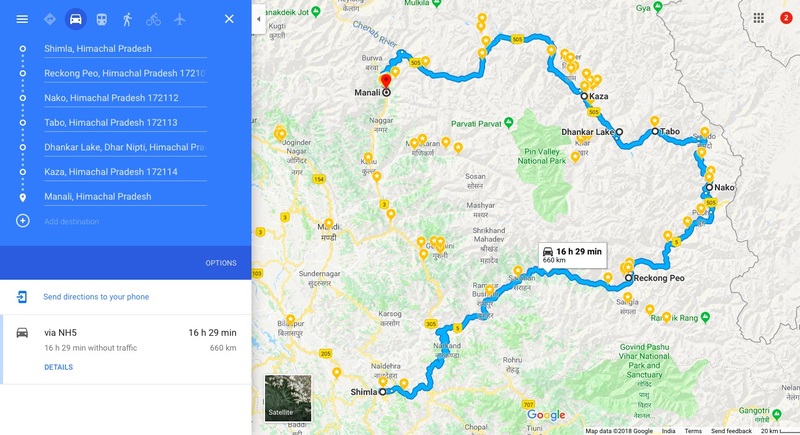 Oh, also if the route to Manali reopens while you'd be there, you can even camp at Chandrataal Lake (as it'll be en route) for a night and then head to Manali via Rohtang Pass at the end of your trip. Even when you'd be in Spiti Valley in the summer, it'll be chilly. Do stuff your bag with warm winter clothes, a zero temperature jacket, a beanie or a warm cap and carry a leaf of the medicine, Diamox for dizziness and acclimatisation (in other words, AMS: Acute Mountain Sickness). Take it easy at all times. You will hardly ever have access to internet so come prepared. Please keep in mind that Spiti Valley is a very fragile ecosystem. It's worth visiting but even more worth taking care of. Please reduce your usage of plastic and do not litter while travelling. Take care of yourself and your surroundings. And, have a wonderful time whilst at it! 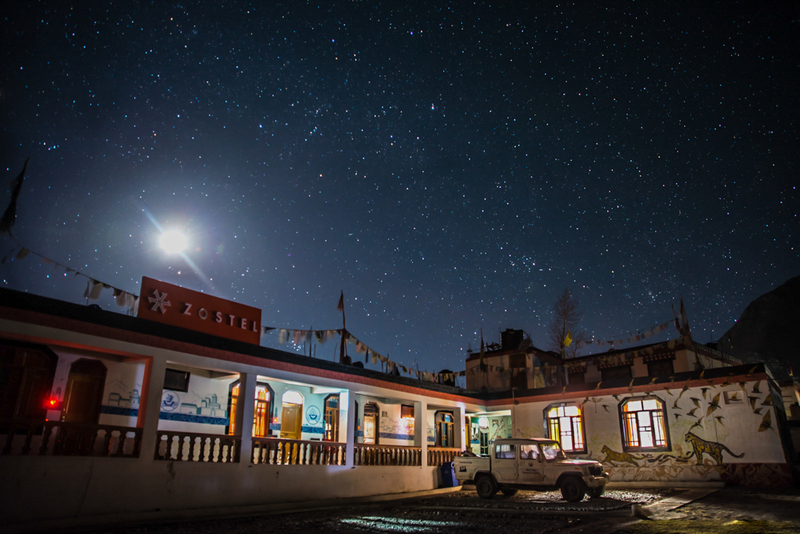 We, at Zostel Spiti await your arrival.